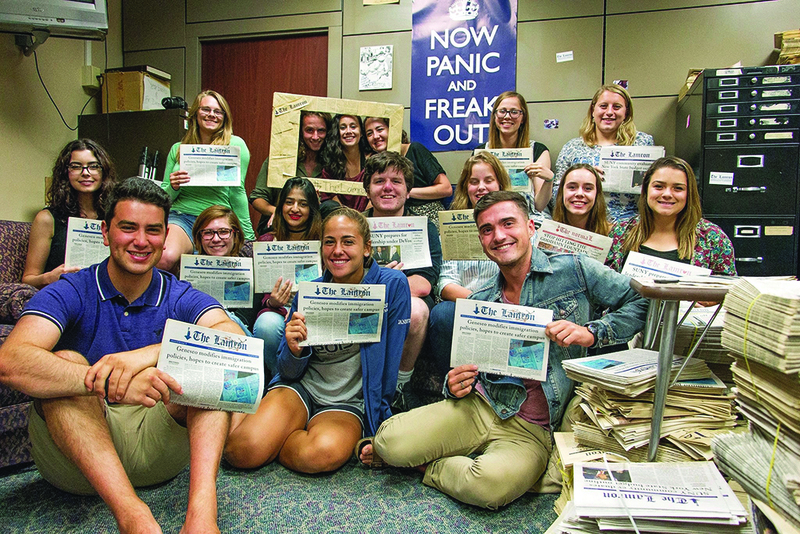 The Lamron’ Managing Editor Alexandra Ciarcia passed away on Thursday September 21, 2017. Below are remembrances from family, friends and fellow members of The Lamron. You can also read more here. doing. So thank you for sharing them. I have an overwhelming number of memories of us doing things together. Coaching you teams, helping with science projects, going on roller coasters, the beaches, the trips, buying you stuff...talking to everyone about you and then there is your laugh. How your eyes would close when you laughed. These memories will be the roses in the middle of winter for me. bring some joy to the world. forever you are emblazoned in his heart, life and mind. And me... how brave you were to be the first to meet me. I remember planning it with your dad, how I would meet his kids – we put a lot of thought into it as we knew we would be family. We elected to do something with my horse Foxy Lady whom had been my companion for 30 years. You had never petted, brushed nor rode a horse – yet there you were... welcoming me to the family in the best way possible – by bonding while we brushed Foxy Lady – you even rode her a couple times! It moved me deeply that you were so welcoming. I remember planning your high school graduation party – everything had to be the best as you deserved the best. I wanted you to know how much you were loved and celebrated. I am humbled by the outpouring of love and support from your sisters, your Geneseo community, your best friends, and everyone you touched. Humbled and inspired to live my life even half as great as what you accomplished. I struggle deeply to make sense of your passing, I get angry at God sometimes because we and the world didn’t get nearly enough of you. The world needs women like you, to inspire other women, to make your mark in the world and show everyone what goodness and strength looks like. However, you deserved a better place than this world, and I try to be at peace knowing the joy you experience every moment. The world will have to look to the stars and heavens now, to see the inspiration and example of what strength and goodness looks like. We miss you more than words can express. But as your dad told us all “Mourn, but then move forward and learn to live in greater joy in Alex’s honor – she would never, ever ever want anyone to be in pain because of her.” On my good days I do this... on the tough days.. well they are tough. scrambling to get the accounts in order hahah. he wrote Ciao Girl (I think it was supposed to be ‘love dad’). for me. You are loved so much dear Alex. The Phi Lambda Chi house. After Alex’s passing, the house was decorated with flowers to commemorate her. 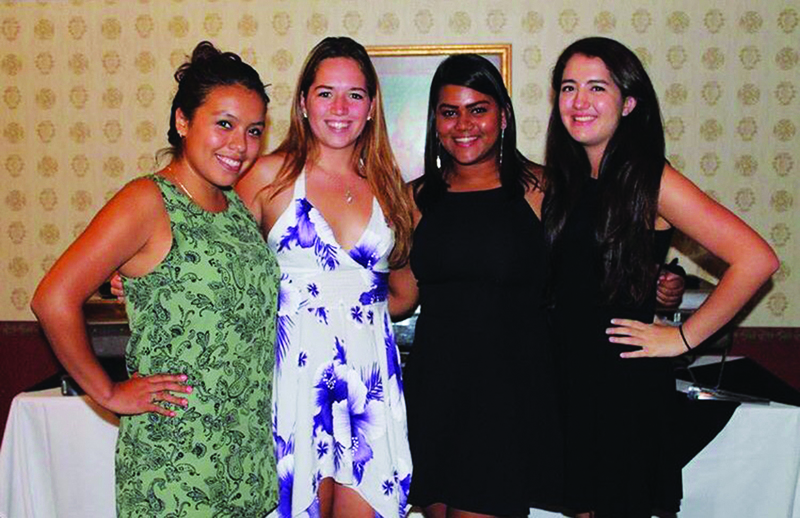 Leslie Rosales ‘17, senior Kaitlyn Davis, senior Sheila Khan (all Phi Lambda Chi members) and Alex at their fall 2016 formal event. Madonna Swanson, Dennis and Chris Ciarcia take a break from hiking with Alex. Since her passing, I’ve discovered that Alex Ciarcia had many accolades. She was an excellent writer, of course, but the extent of her achievements in scholarship went far beyond my knowledge. 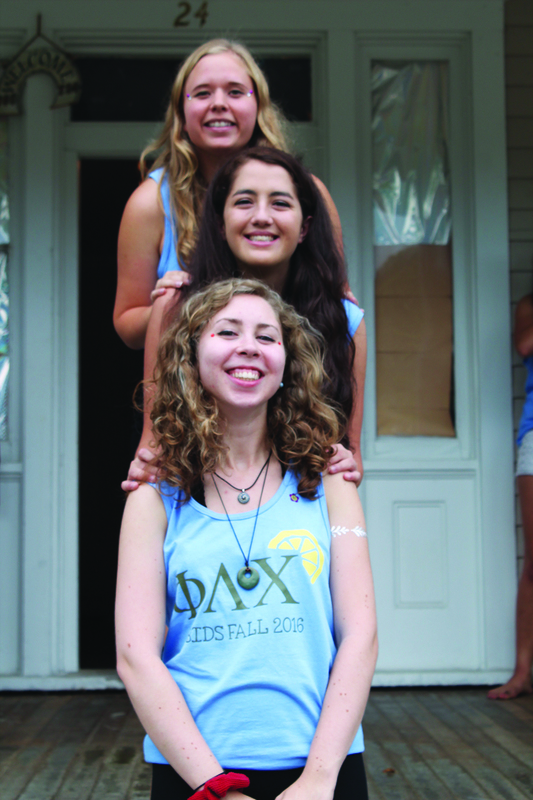 Alex stands happily between her big, Elise Johnson ‘17, and her little, junior Madeline Walker, for a Phi Lambda Chi family photo. Former opinion editor Emily Holdgruen and Alex celebrating the last Lamron issue for the spring 2017 semester. The Lamron e-board fall 2017. 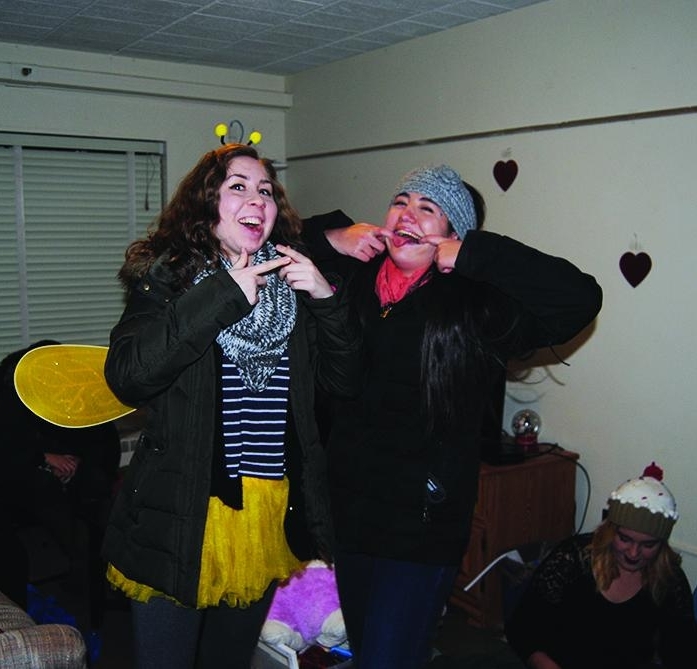 Junior Phi Lambda Chi member Madeline Walker goofing around with her beloved big, Alex. I love you. I vividly remember February 13th, 2016: the day I became a part of your family, and you became a part of mine. You are the sole reason I feel at home here at Geneseo. I consider myself extremely lucky to have known you so well over these past years. 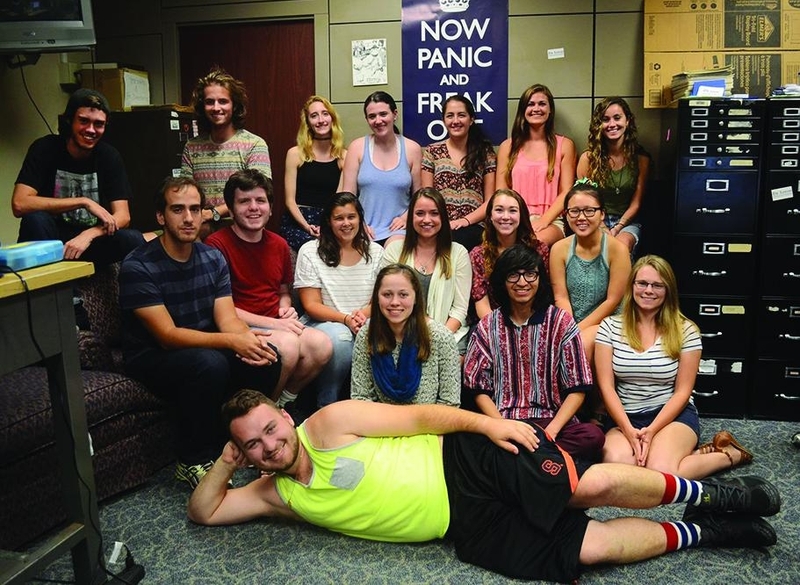 Most friendships in college are gradual, and become special with time. Ours was rare. Ours was instant. And I will be forever be appreciative of that. I will reminisce all of the wonderful memories we had together. I will reminisce of your laughing smile and hilarious mannerisms. I will reminisce your hardworking nature and your ability to put your heart into everything you did. I will reminisce you. The Lamron fall 2015 e-board members at the COMN scholarship awards event in spring 2016. The Lamron fall 2016 e-board. 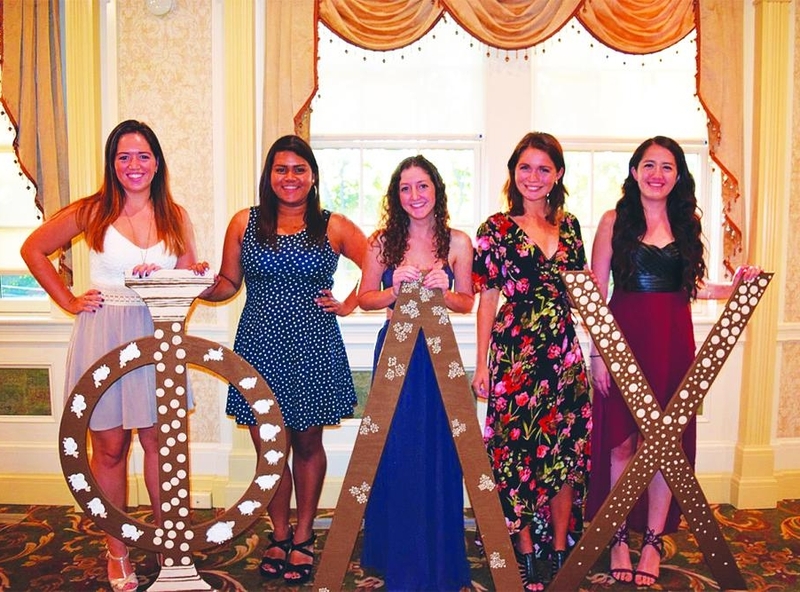 Phi Lambda Chi sisters pose for a quick group shot at their fall 2017 formal event. Some members of The Lamron fall 2017 e-board at the paper’s Weeks of Welcome BBQ event.